Most of the time, when buying vehicles, especially pre-owned ones, you aren’t really too sure that you’re getting a fully functional vehicle. 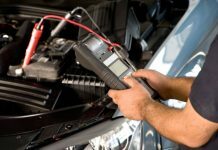 While the mechanical issues can be sorted out by test driving the vehicle, as well as the overall look of the vehicle can be addressed by visually checking it for scratches and dents, some issues can only be found out by doing a PPSR search. There might be a few issues wherein the previous owner forgot or intentionally neglected to tell you and you may end up finding yourself neck deep in trouble or worse, having your hard earned money wasted on a car that’s going to be repossessed anytime soon, which is why a PPSR check should be standard procedure when buying vehicles, especially pre-owned ones. This doesn’t mean that you have to fully pay on your end; this means that if the previous owner still has debts to pay for the car, he or she should simply settle the payments before you can buy it. PPSR checks can show you whether the vehicle still has an outstanding balance with the dealer or not. Buying a pre-owned vehicle which still has outstanding payments can subject you and your vehicle to legal actions since you are now the new owner of the vehicle and although the previous owner will still need to pay for the debts, the vehicle will now be registered in your name and you will be the one held accountable. If the previous owner decides to stop paying the outstanding balance without you knowing about it, since the vehicle is registered to you, you might be surprised once the repo guys come knocking at your door to take the car away and you are left without a vehicle while the previous owner is sitting pretty on a beach somewhere spending your hard earned money. Sometimes, when someone sells you a good looking car that runs perfectly at a price that’s too good to be true, most of the time it really is. The car might have just been stolen, the plates changed or the engine changed to avoid detection and the perpetrators are looking for quick money. If you think that the transaction is a bit shady and suspicious, you can run a PPSR check on the vehicle to see if the plates match the engine number as well as the model of the vehicle too. Although it might be your dream car, it might have been illegally acquired so if you then consider buying it, you might just be buying an illegally acquired or stolen vehicle which might subject you to unwanted run-ins with the law. There are also cases wherein the body of the car has had a major makeover due to a possible serious accident in which the previous owner purposely left that certain detail out of the picture for you not to have second thoughts about buying it. Since the parts aren’t stock and factory grade, you might not be too sure about the quality and durability although it might look nice and not far off from the original. PPRS checks can show you whether the car you intend to buy has gone through an accident in which it needed major repairs or not.